How absurd: a man’s fate hanging on what the blind man sees. Bunyan, in none-too-subtle tones, describes the blindness of sin. How sinful people, blinded by their own sin, think that what they can perceive is all that there is, that the truth is that which lies before their darkened eyes, and who refuse to see anything other than the darkness which they mistake for light. As at Vanity Fair, so in the real world it’s an absurd, perhaps even offensive, notion: that the blind should instruct the seeing on what can be seen clearly. Yet this morning, the evangelist presents just such a situation before us. As usual when Jesus went about His earthly life, He was surrounded by a crowd, so much so that as He approached Jericho, it brought about a small commotion. At the very least, the sensitive ears of the blind beggar of Jericho, could tell that something out of the ordinary was going on. But, being blind, he could needed others to fill in the details, namely that Jesus was coming to town. Up to this point, the story seems to confirm what I have just said: blindness is impotence, blindness brings about ignorance. Of all the people at the gates of Jericho that day, everyone knew what was going on, except the blind man. Had it not been for his curiosity and the kindness of the other bystanders, Jesus may well have passed by this unseeing beggar, unnoticed, never to return―since Jesus was already on His way to Jerusalem and the cross. What a beautiful illustration of the power of the Word of God to break in on the ignorance of the blind. From birth, Bartimaeus’ world had been restricted to his four functioning senses. He was able to live, and to get about, but only just; safe in the familiar terrain of Jericho but ever to leave. Incapable of working, he was reduced to begging, a miserable and often short-lived existence at the mercy of others, in extreme hardship and extreme humiliation. It’s not for nothing that Scripture speaks of life lived in sin as darkness and of unbelievers as those blinded by sin. For such a life is just like that of blind Bartimaeus: people are able to live and get about, but only just: always one illness or accident away from death, capable of navigating the familiar terrain of this earth but unable ever to leave. Incapable of doing real work, loving God and the neighbour, work that sustains one eternally, they are reduced to scraping an existence that is sufficient in happy cases for some decades, before being snuffed out. As some anonymous realist put it: life is hard and then you die. But when the Holy Spirit stirs such darkened lives with God’s word, blessed are those who, like Bartimaeus, have neighbours and by-standers at hand to declare the cause of these stirrings: Jesus of Nazareth is passing by. And blessed are those who, like Bartimaeus leap up and cry out, “Jesus, Son of David, have mercy on me! ” For Jesus never passes by anyone crying for mercy: there is nothing He delights in more than stopping to help such helpless beggars, showing mercy and giving impossibly rich gifts. 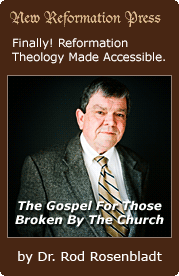 Restoring sight to the blind, He literally gives them the life they could otherwise never have had. And how tragic it is when the blind have none to point them to Jesus, no one that will take them to that fountain of mercy, so that they are left in their dark ignorance. And how tragic it is when the blind are contented with their blindness and never cry out for mercy, allowing Jesus to pass by, ignoring the call of God’s word and turning their backs on the mercy and life He desires to give to all. And so, it turns out that, though blind in his physical eyes, Bartimaeus wasn’t the blind man of Jericho at all. Like Mr. Blind-man of Bunyan’s creation, he was able to say―but he without a hint of sarcasm or irony―, “I see clearly where my hope lies.” Everyone else that day could see Jesus with their physical eyes, but the eyes of their souls looked right through Him. They could see His form and recognise Him―without ever seeing who He really was and what it meant that Jesus of Nazareth was passing by. Even the twelve, when Jesus reminded them, not for the first time, of what was about to happen to Him, of the fate which was the whole purpose of His earthly life―Luke tells us that they “understood none of these things. This saying was hidden from them, and they did not grasp what was said.” They knew Him better than anyone else, they were His closest companions, yet they were blind. Jesus’ death, His sacrifice for them and for the whole world, took them completely by surprise because they failed to perceive the purpose for which He was sent by the Father. The crowd outside Jericho recognised Him and were excited enough to create a small scene. And yet when Bartimaeus began to cry out for mercy, they showed themselves to be blind to who Jesus is by trying to silence Him. As if Jesus would be annoyed by the temerity of the beggar of Jericho, as if it was somehow an indignity that someone as important as Jesus should be disturbed or interrupted by someone as insignificant and miserable as a blind beggar. Even today, it’s not uncommon in many parts of the world that when something important happens in a city―a state visit, or some sporting event or an international summit―the potholes are filled, an extra lick of paint is splashed along the main streets … and the beggars are bussed out of town so as not to embarrass the hosts or to hassle the guests. You see, it’s a timeless truth that beggars make us uncomfortable, especially the ones in genuine need. They are insistent, out of necessity, and get in our way. Their disabilities and hardships―the mangled limbs, the clouded eyes, the crying babies―intrude into our comfort zone, unwelcome reminders of the injustice of their suffering compared to our good fortune, producing guilt, resentment and, eventually, the necessary hardness that puts up the hand and says, “Sorry. I won’t help you.” And isn’t it true, that the more insistent the beggar, the harder it is to remain sympathetic? The longer he goes on, the less likely he is to get a sympathetic hearing, until we stop our ears―or give something, not out of love to help the needy in his need, but out of frustration, just to shut him up. “Love is patient and kind; it is not … rude. Love is not irritable or resentful … it bears all things, believes all things, hopes all things, endures all things. Love never ends.” Who loves like this? Well, clearly the people of Jericho didn’t seem to think that Jesus did. They assumed that Jesus was like them, and like us, finding beggars an embarrassment, a nuisance. They were blind to His love, to its nature and its depth. In the crowd that day, only the blind Bartimaeus saw clearly, saw that Jesus of Nazareth is neither embarrassed nor hassled by Bartimaeus. Jesus does not get riled by the insistence of those who beg of Him, but the very contrary is true. Jesus longs for us to beg, he desires our begging. To Him, it’s not a nuisance but a joy and a delight. Notice how impudent and insistent Bartimaeus was: the more they tried to shut him up, the more he cried. And notice Jesus’ reaction: unlike about everybody else, He wasn’t repelled by Bartimaeus’ begging, but drawn to it. Bartimaeus threw himself at the mercy of Jesus―and Jesus never turns away such beggars. That day, his eyes were opened. He found healing for his physical eyes because he had already been given the eyes of faith that recognised in Jesus his only hope. 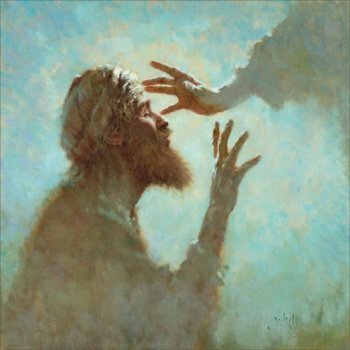 And so he not only received sight and a radical improvement in his quality of life, but through faith he received an eternal gift of sight and life. That’s why we know his name: Mark referred to him by name, because when Mark wrote his Gospel, Bartimaeus’ name was still recognised among the Christians for whom the Gospel was originally written. And that cry still rings throughout the Christian church. In every Divine Service, we too cry out, “Lord, have mercy! Christ, have mercy! Lord, have mercy! ” It isn’t a cry for forgiveness―after all, the Kyrie comes almost immediately after we have been absolved of our sins. Rather, in the Kyrie, we come to Almighty God, as Bartimaeus once came to Jesus, with our petitions, for ourselves, for our loved ones, for the Church, and the world, entrusting our needs to the mercy of God the Father, Son and Holy Spirit. The longer form of the Kyrie we sang this morning with its petitions, make this particularly clear. Likewise, this is why the petitions of the Prayer of the Church always conclude with an appeal to God’s mercy: ‘Lord, in your mercy, hear our prayer’; ‘for this and that, let us pray to the Lord: Lord, have mercy’. And like Bartimaeus, we are invited to beg openly, boldly and insistently―because Jesus does not pass by beggars in need, beggars who recognise their dire need and their only hope in Him. He sees all our needs, He delights in our asking for His help, and He delights in satisfying our needs―even though that sometimes means that He doesn’t give us what we ask when we would like it. May God give us His grace that we will never tire of begging for His mercy, that at the last we may inherit the one thing that is needful, eternal life through the merits of His Son, our King and Saviour, Jesus Christ. Amen.